A map of Wulai and the area above the waterfall. 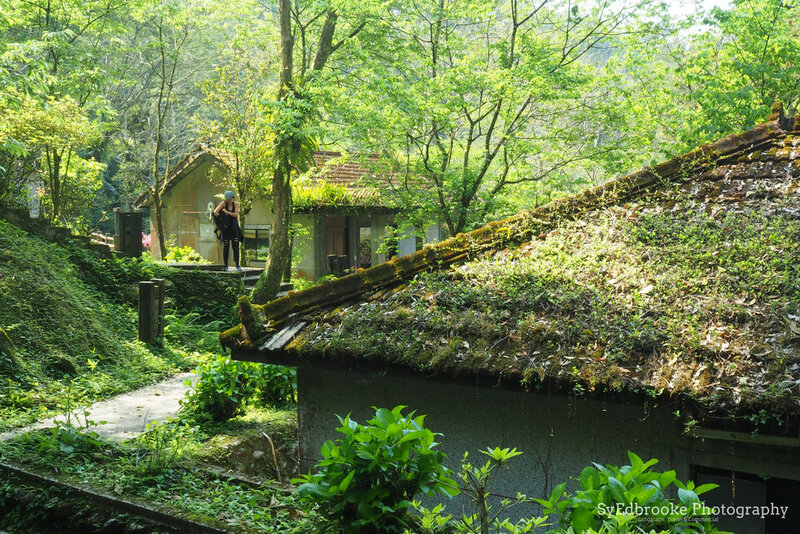 Wulai is one several hot spring areas dotted around Taipei city, Beitou being the other more famous area. There used to be natural baths created by the locals where you were able to get the full local experience, without having to pay for an overpriced spa. Unfortunately the government here demolished the pools last year I think. All that said you are still able to make your way down to the river to swim in the water if that tickles your fancy. It's not as warm as the thermal water but it's fun none the less. The hotspring hotels here are also cheaper than Beitou, so if you are looking for more of a budget spa soak I'd recommend going here instead of Beitou. If you are heading out this way it is fairly easy to get to. Take the green line all the way to Xindian district office, then get out at exit 1. Take an immediate right and the bus stop is right in front of the starbucks and bakery. You want to catch 849 to go all the way to Wulai, all in all it's pretty simple and only takes about 30 mins I would say from Xindian to Wulai on a regular day. Weekend might take a little longer with traffic, but for the most part it's not as busy as other spots like Maokong or Dansui on Saturday or Sunday. The main town and market area of Wulai and hotel spa area. For the ones among you feeling more lazy, there is a small little train that you can catch from the market area to the waterfall itself. Personally I prefer to walk the 20 mins or so and take in the sights and sounds. People with small kids might find this a fun option though! It's a pleasant short hike up the road to the waterfall area where there are a few cafes and restaurants to chill out in. Wulai waterfall, shot using my mavic air. Once you've had your fill of the waterfall from the bottom, You can walk up through the town (follow the stair cases) and take a ride on the cable car up to the area above the main falls here. the ticket is a one way cost (220 ntd), it's free on the way down so it's not too expensive. I was on the fence about going up, but it turns out it's actually pretty cool at the top. There's a lot less people there and is a nice calm atmosphere. There are a couple of activities like archery you can try your hand at, or a pinball gun range. Right as you get to the top of the falls there is a small pond you can hire a rowboat to cruise around in (although it's very small!). At the top of the park there is a pretty interesting abandoned hotel with all sorts of over grown hot spring rooms which was a fun little find. If you follow the path all the way up to the top of the area there is a smaller overgrown path the winds up and around the mountain there. It leads to a outdoor jungle gym trail that's also been abandoned sadly. It's a pretty interesting area and there was hardly another soul there while I was exploring it. If you are feeling adventurous it's worth a little explore for sure!